Check out the GrooveBook app on iOS and Android. Get 100 photos sent to you in a pre-made book each month for only $2.99! 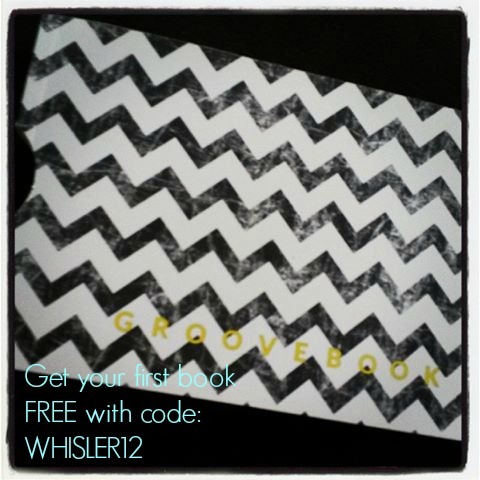 First month is FREE with code WHISLER12 ! Try it out, nothing to lose, I bet you'll love it as much as I did! Very neat! I need to do this with my Instagram photos. Thanks for sharing! So cute! I think I may have seen a Groove Book before. That is such a cute way to store your instagram photos forever. Interesting. I'll have to look into this app. I hadn't heard of this app, but I love photo apps! Thanks for sharing. what a great app. Definitely will be trying it.